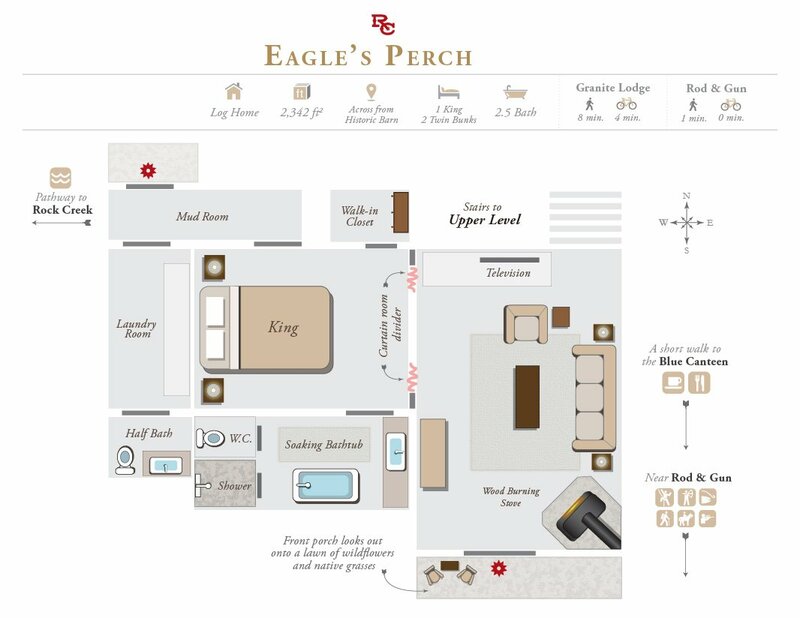 Eagle’s Perch is a two-story luxury home with views of native grasslands and wildflower meadows. 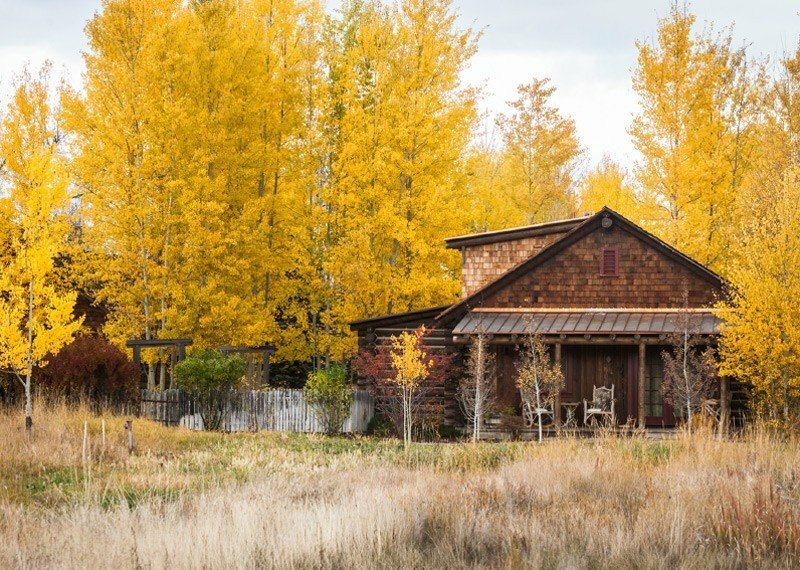 With a keen eye, you may be able to spot Rock Creek’s resident eagles, hawks or osprey in the nearby trees or catch a whiff of Chef Drage’s seasonal inspiration in his fragrant herb garden, located just outside the home. 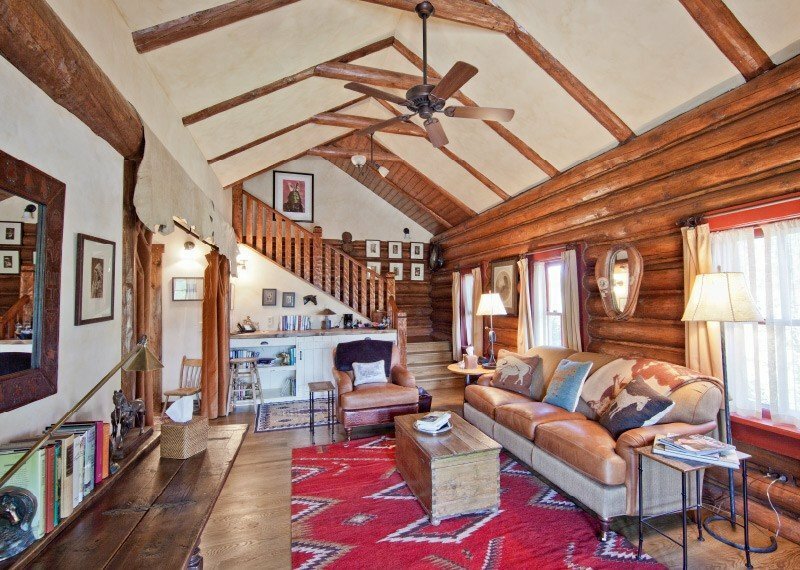 The layout makes it perfect for family ranch vacations, complete with a master suite with a king bed and full bath on the main level, in addition to a large sitting area, kitchenette, laundry facility and game nook. 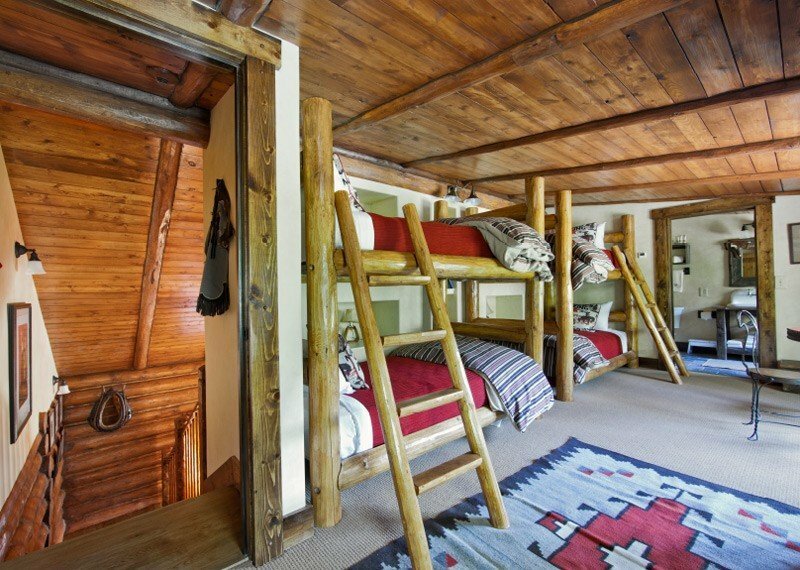 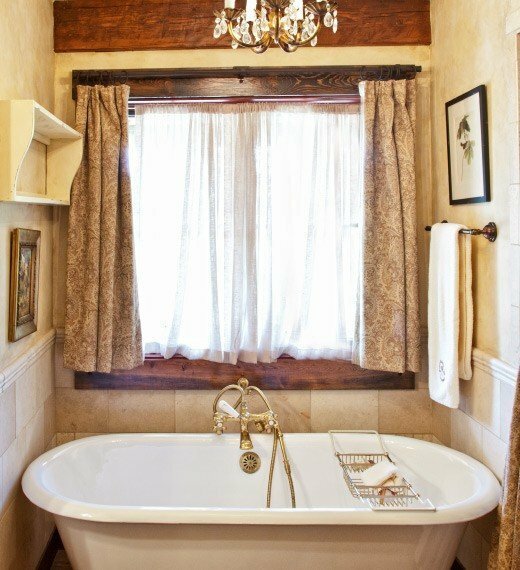 The upstairs of the cabin features two sets of twin bunk beds and an additional bathroom, making it ideal for children’s sleepovers during holiday celebrations and family reunions. 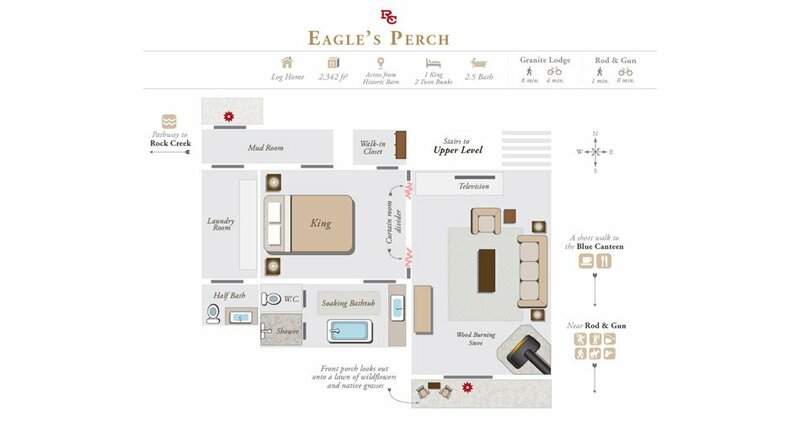 Eagle’s Perch is a two-story luxury log home covering 2,342 sq. 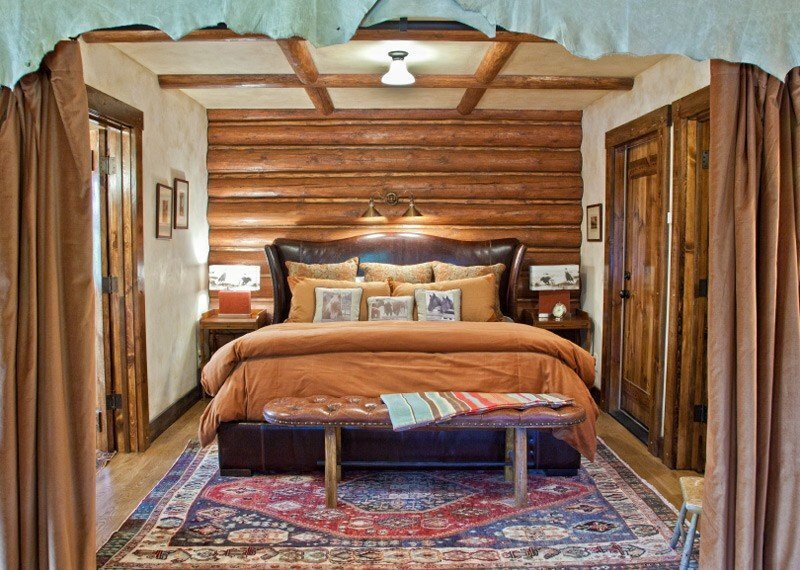 ft.
Standard occupancy is two to four guests, with a maximum of six. 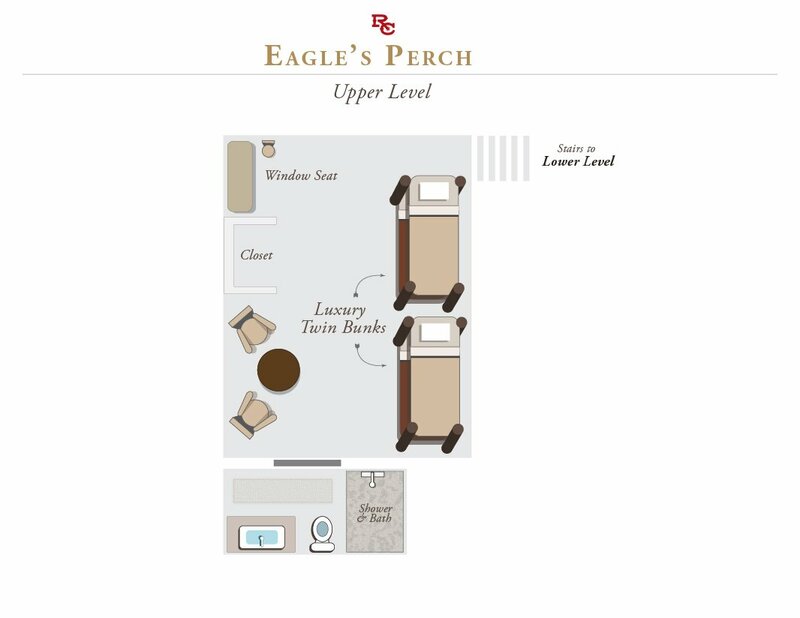 For a larger group, Eagle’s Perch can be reserved in conjunction with neighboring luxury homes.